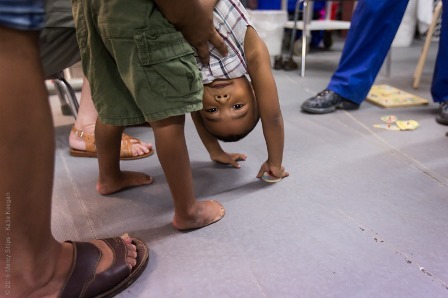 Prinscio was born with bilateral club feet—a severe deformity that is correctable shortly after birth in our country. But his parents couldn’t afford the surgery and had exhausted all their resources. He was 2 when he took his first steps, walking on the tops of his twisted feet. He was ashamed of how he walked and hated the stares of strangers. In some of the world’s poorest places, children like Prinscio— children with bent and twisted limbs, facial tumors, and other physical deformities—are praying for a miracle. Prinscio’s parents were heartbroken when they couldn’t help him. Then a medical specialist told them that Mercy Ships was nearby and performing exactly the surgery that Prinscio needed, free of charge. Prinscio was so excited, saying, “Mama! When my feet are fixed I can play football like the other kids!” Today Prinscio walks with confidence, flat on the soles of his restored feet. Thanks to caring friends like you, he got his miracle and the gift of a new life—a life like other children.